Tom - So, yeah. These are sort of a second reincarnation of the idea of important maths problems. So, in the year 1900, there was a mathematician called Hilbert who actually came up with 23 problems that he considered to be the most important in the year 1900. In fact, one of these is actually one of the millennium problems as well. And then the year 2000 came around, it's a big event, lots of things happened, and maths thought, "Let's get involved with this." Graihagh - Jump on the bandwagon. Tom - Exactly. They sort of sat down and said, "Right. 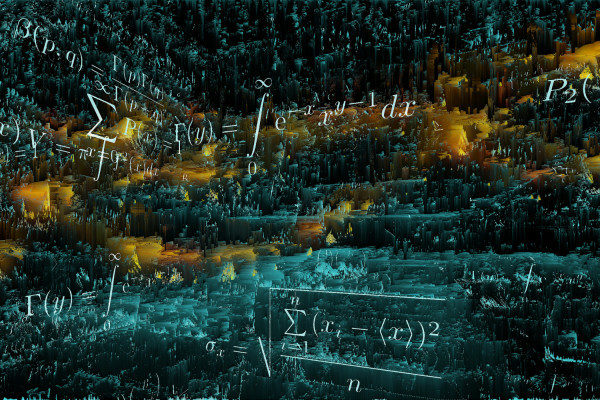 These are the biggest unsolved problems in mathematics at this time. Graihagh - Did they say 7 because 7 is a prime number and an interesting maths number? Tom - I'm not sure exactly why they chose 7, but that sounds like a good idea to me. Graihagh - And you say 'they', these mathematicians, who are they and I assume, they're the ones fitting the bill of a million dollars, right? Tom - Yes. So, this is the Clay Institute. It's an institute based in America. They had money left to them and thought, "Let's use this as prize money as a sort of extra motivation." But if you ask most mathematicians - I won't say all - if you ask most mathematicians, they wouldn't actually try and tackle these problems for the money. It's more just for the fun of doing the maths in some sense. Graihagh - So, can you give me a quick rundown of the final 7. Tom - I'll start with the one I'm doing my PhD on, this is the Navier-Stokes equations. This is fluid dynamics. This is a set of equations that model the flow of every fluid - so water, air, anything. Then we've got the Mass Gap Hypothesis. You can think of this one as asking the question "why do things have mass?" Graihagh - Sounds interesting. So, you've mentioned 2 of them there. There's 4 more by my count, by my math. Graihagh - 5? Oh no! Okay, what are the other 5? Tom - We've got the Poincare Conjecture which is an interesting one as we'll find out later. We've got the Riemann Hypothesis which looks at prime numbers. We have P versus NP - one of the more famous ones. So, this is basically looking at how computers work. And then the last two are quite abstract. So, you have the Birch and Swinnerton-Dyer Conjecture. Graihagh - Wow! Great names. Tom - And then finally, the Hodge Conjecture. So, the Hodge Conjecture is quite an interesting one because depending on which expert in the field you ask about this problem, they will give you a different definition of what this problem is. Graihagh - So, no one can agree what the actual problem is in the first place? Tom - Yeah. That's how complex some of these problems are. Graihagh - Wow! So, how are we ever going to go about solving them if we can't even agree what they are in the first place? Tom - Well, I mean some of them are a bit more approachable and there's a bit more general consensus about what this problem is. But I think the main idea of these problems it's not necessarily getting a solution, it's understanding more. So, by trying to conquer this giant mountain of a problem, you'll scale smaller peaks along the way and make new advances in other areas of maths. Graihagh - A million pounds sounds like an awful lot, but I suppose if you spend your entire life doing this then actually, it's not that much. Tom - No. Sort of estimates of the amount of time it would take to solve one of these problems, it actually works out as being paid below minimum wage for the amount of time you would need to spend to solve one of these problems. Graihagh - Wow! We've got some very dedicated mathematicians out there. Tom - Yeah, most mathematicians I think actually do it for fun, if you can believe that. Graihagh - I'm just thinking about my maths class back when I was 16 and maths certainly wasn't my favourite subject but maybe I should revisit that. Tom - Yes, sounds good. Next Why are screams so chilling?